Make a statement of enduring love and tribute with this dramatic lily and rose funeral spray, presented on an easel for ease of placement. 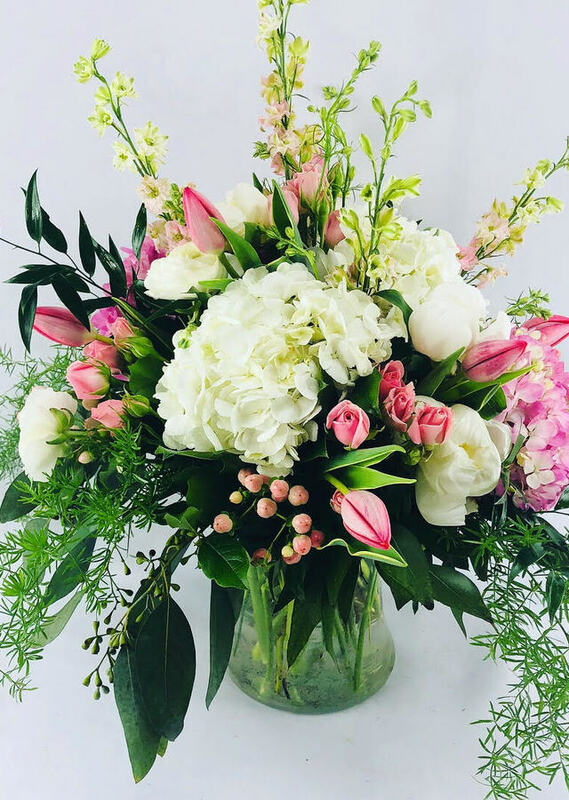 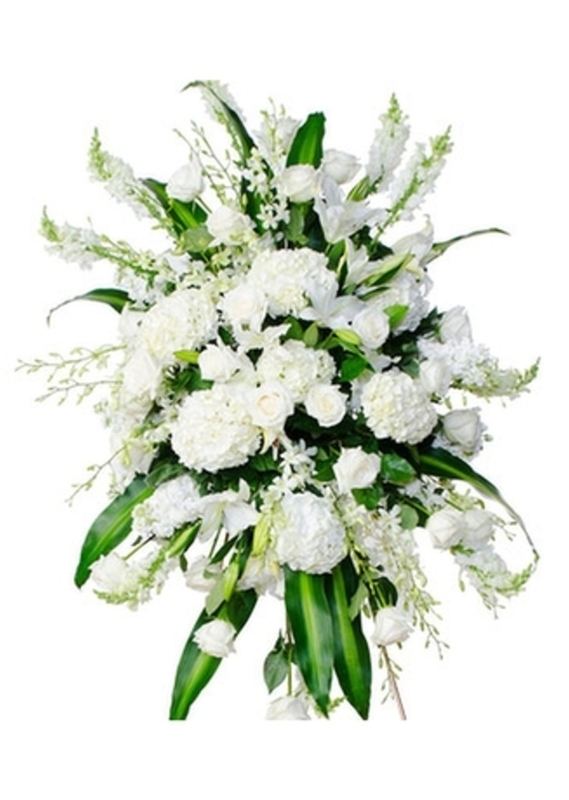 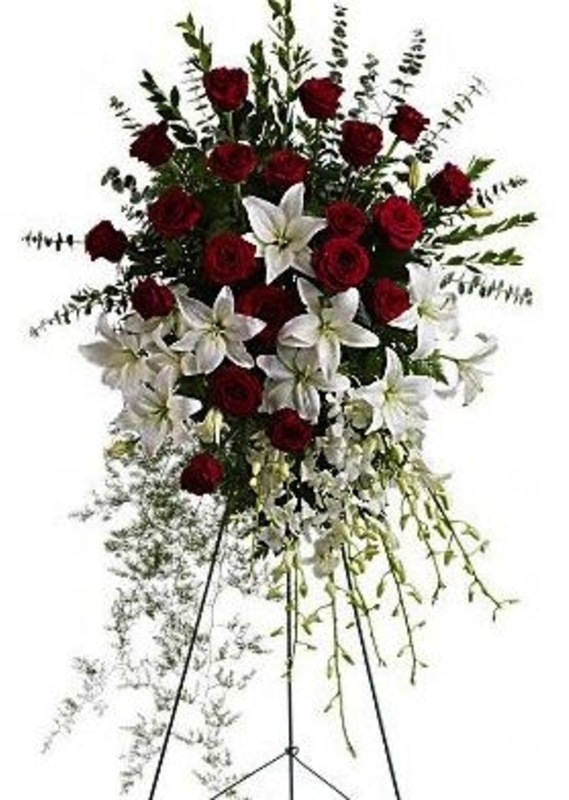 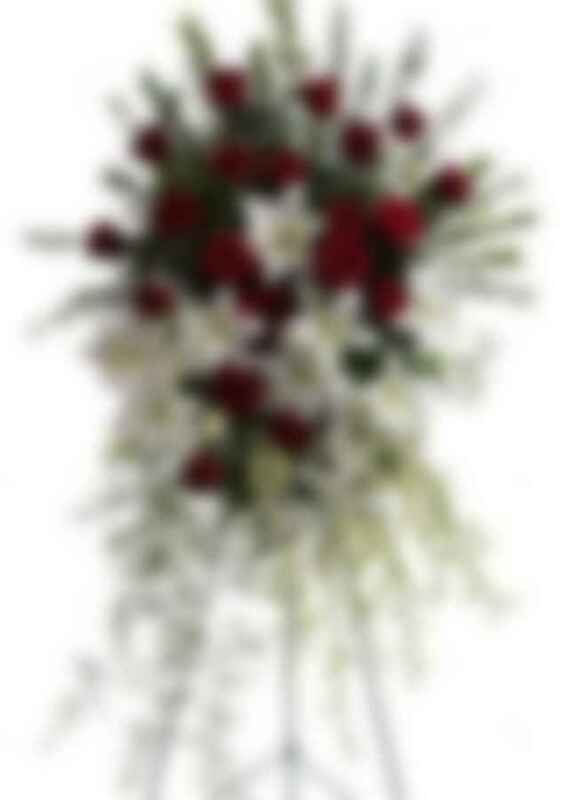 Red roses, white lilies and cascading white orchids are elegant funeral flowers fit to honor someone truly special. 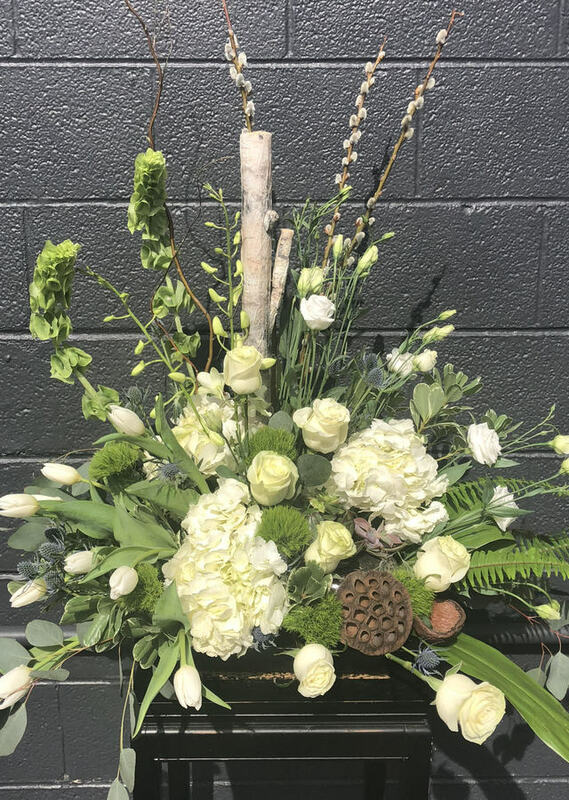 Approximately 31" W x 50"